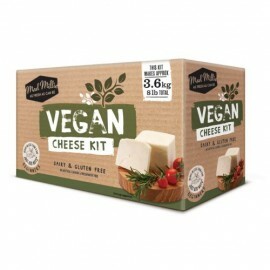 Our Vegan Cheese Kit makes it easy to create a delicious, (guilt free!) 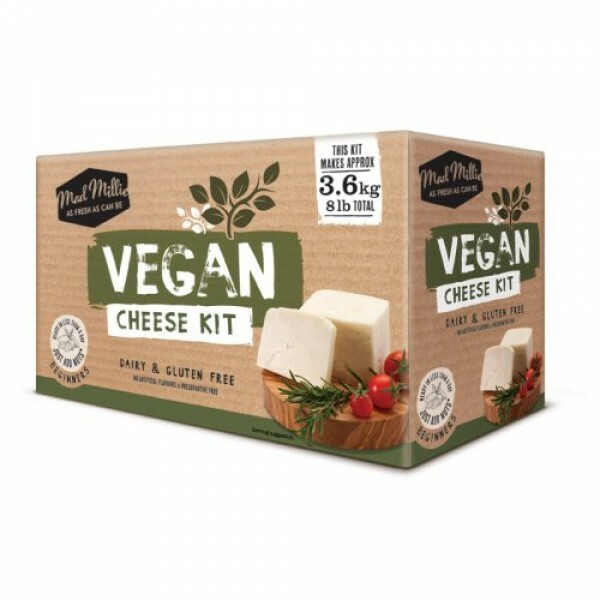 vegan cheeses like mozzarella, halloumi, cream cheese, mascarpone, ricotta and feta. Designed to be made in any kitchen. No specialised equipment or experience required. Just add your choice of nuts and kitchen spices. Can all be made in less than a day! This kit makes approximately 3.6 kg (8 lb) before more consumables will need to be purchased.